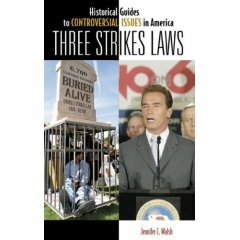 Jennifer E. Walsh, Phd has written a book, available at Amazon.com, that we recommend highly. She concludes, given the success of 3-Strikes, that such laws are here to stay. You can order this book direct from the publisher at 1-800-497-4909 or from Amazon Online. ISBN: 1884956122, Quill Driver Books. What others have said about Mike’s book.